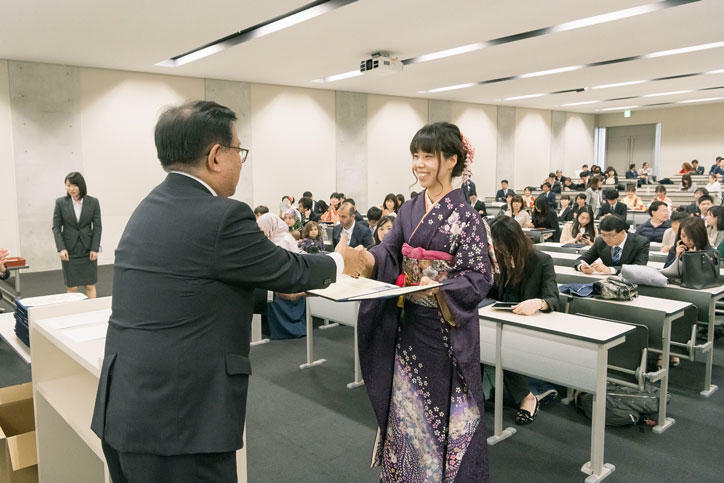 The 2019 Postgraduate Degree Conferral Ceremony was held on Thursday, March 28 at the "Hiyoshi Kaido" Senior High School Gymnasium located on Hiyoshi Campus. Similar to last year, the ceremony was held at the Hiyoshi Kaido as work to rebuild the Hiyoshi Commemorative Hall continues. This year, degrees were conferred on a total of 1,712 students from across the 14 graduate schools (221 doctoral degrees, 1,324 master’s degrees, and 167 professional degrees). 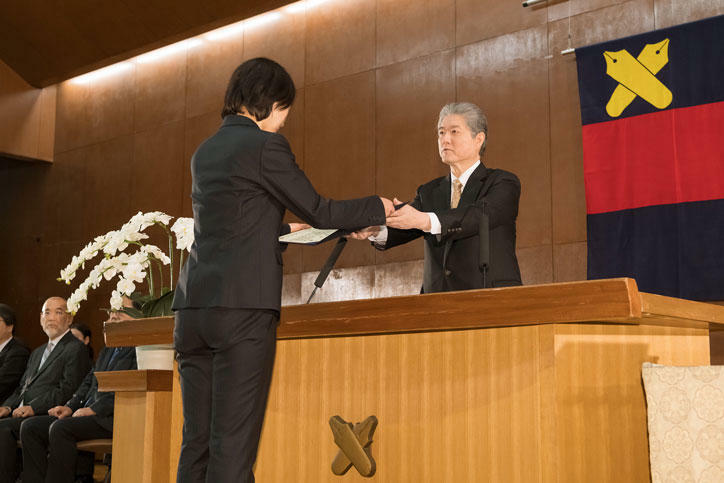 The ceremony began with Provost Tojiro Aoyama’s Graduating Class Report, followed by President Akira Haseyama conferring degrees on the representatives of each graduate school. 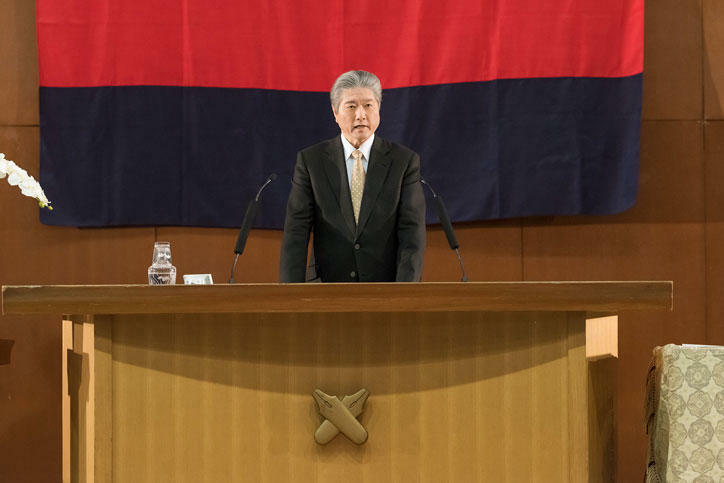 Afterward, in his speech, President Haseyama touched on the spirit of "learning while teaching, teaching while learning" and "jitsugaku" (practical learning) taught by Yukichi Fukuzawa, saying that everything the graduates learned at Keio is "jitsugaku" as he expressed his hopes that the graduates will use the knowledge and skills they acquired at graduate school to contribute to society. 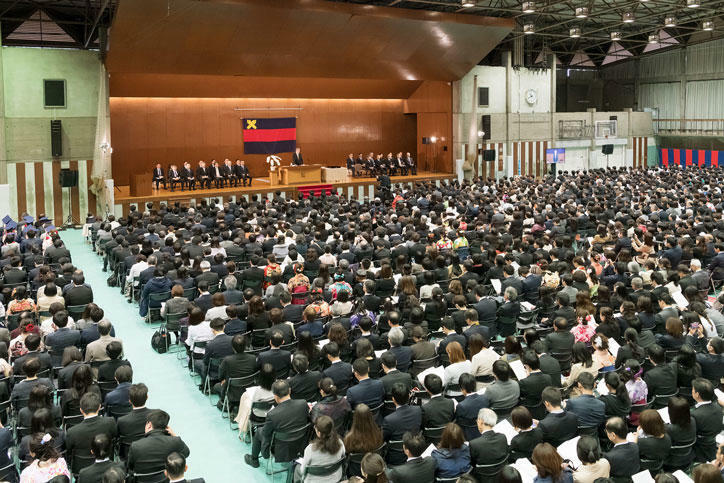 He sent off all of the graduates with words of encouragement, saying that what they learned in the liberal atmosphere of Keio University is something that will make each of their lives richer. Next, representing faculty and staff members, Professor Noritaka Chida, a Graduate School of Science and Technology Committee Member, gave a congratulatory address, and the ceremony came to an end with the singing of the Alma Mater "The Juku-ka." 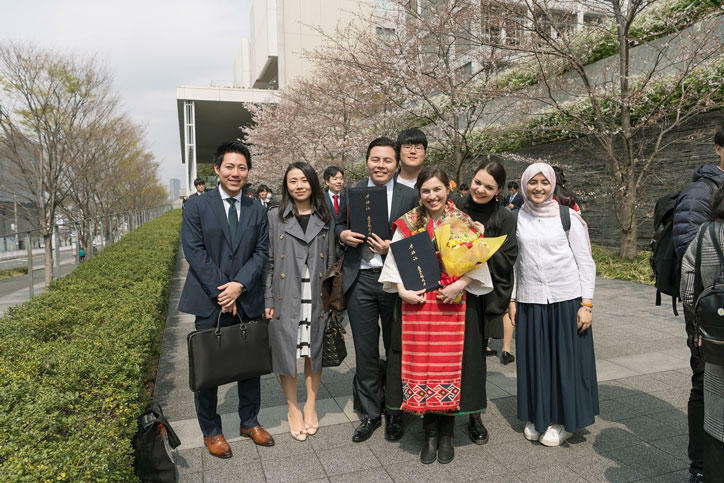 The graduating class included many international students, and graduates from a broad range of age groups gathered with their families on Hiyoshi Campus. 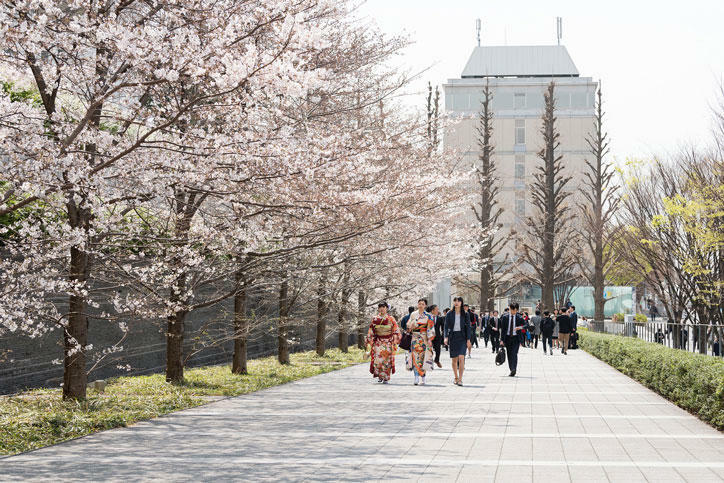 After the ceremony, graduates received their diplomas from their respective graduate schools, and taking advantage of the cherry blossoms in full bloom, many were seen posing for commemorative photographs and celebrating the start of their new lives.